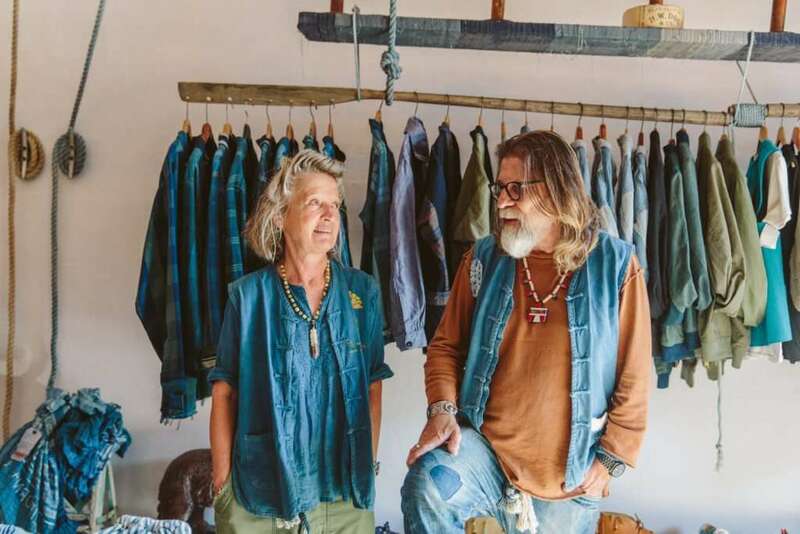 Olivier and I are sitting on a perfectly worn couch in his beautiful new Trading Post store in a prime location on La Brea, a couple of doors down from American Rag. I was excited to visit this new outpost as the Grassets have a reputation for creating fantastic interiors and I’d been watching the store design unfold via Instagram. But I’m also here because I want to see how they’re doing. Olivier and Beatrice suffered a tragedy a year ago that no parents should ever have to endure. They lost their only child, their colleague and their business partner, Teddy Grasset at the age of 30. Teddy was obviously a huge joy and focus of their lives as any child would be, but he was also a very big part of Dr Collectors and a recognisable and much-loved member of the denim community. His passing last year caused a huge sense of loss in the community, one that is still felt to this day. But instead of crumpling under the weight of the grief, Olivier and Beatrize have thrown themselves into this new venture in his honour. The store is a physical representation of their love for Teddy from the design to the clothing to their continued passion and drive for the Dr Collectors brand. 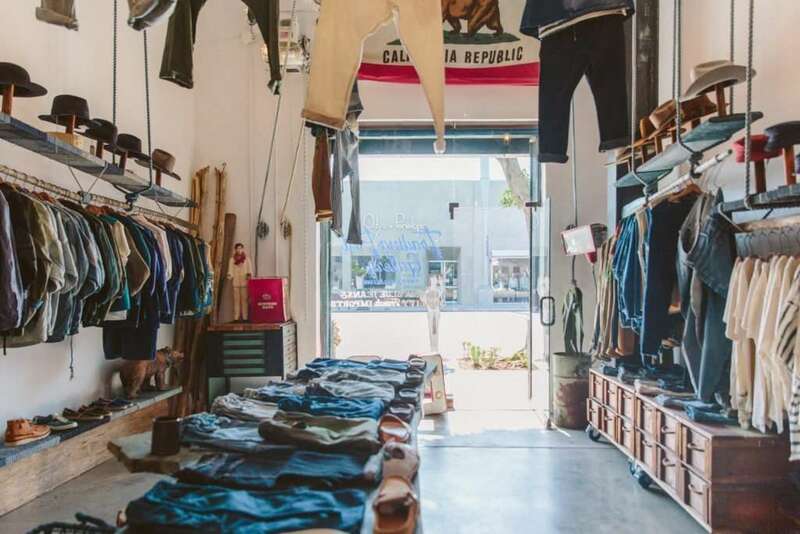 I visited their beautiful new store with my photographer friend Kate Berry to talk to Olivier about his denim past, loosing Teddy and the future of the brand. So originally you were across the rd and down a little, right? Yes we were at 177 South La Brea before. We closed the old store 3 weeks ago and we opened this one almost immediately. And did you have your eye on this space? How did it come about? I know the owners of this space because they are the owners of American Rag. And I have known Mark from France for 30 years. Do you? I didn’t know that… He’s not French though is he? No no he is American. But he was living in Amsterdam, he had a few vintage stores there and after Amsterdam he moved to Monaco on the French Riviera. 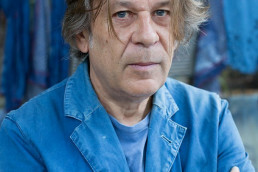 I had a store in Orange, Provence in the 80’s named Edward and I bought vintage from him. Mark moved to the US in 1983 and opened the first American Rag out in San Francisco and then opened this one here. And what was it that made you move to LA… was it him? No it wasn’t Mark. One day I am in New York at Coterie trade show and I see a friend, a French guy with a brand out here. And we talked and caught up and he was asking me what I was up to and I said I was doing the usual: design, vintage, you know… and he said he was interested in me because he wanted to launch a new brand and so we came out here in the summer and talked to him and that was it: after three months I had moved to LA to work for him. And had you visited LA before, right? Yes, I came a lot and it was a dream to live in the US. It was a real dream. I also loved Japan and went 4 times a year, and came twice a year to LA. I love the weather in LA, for example I couldn’t live in New York. For me New York is a good weekend but it’s too busy. Here you have room for the family… New York is too small, I don’t like the idea of living in an apartment. Yes I agree. To me NY feels like a struggle. Yes exactly. Here it’s more peaceful… it’s what we love. And do you miss France at all? Do you go home to visit? Yes I go home, I still have family there. I love France, but for what I’m doing LA is the place. In France you don’t have any more factories, you cannot make anything there. 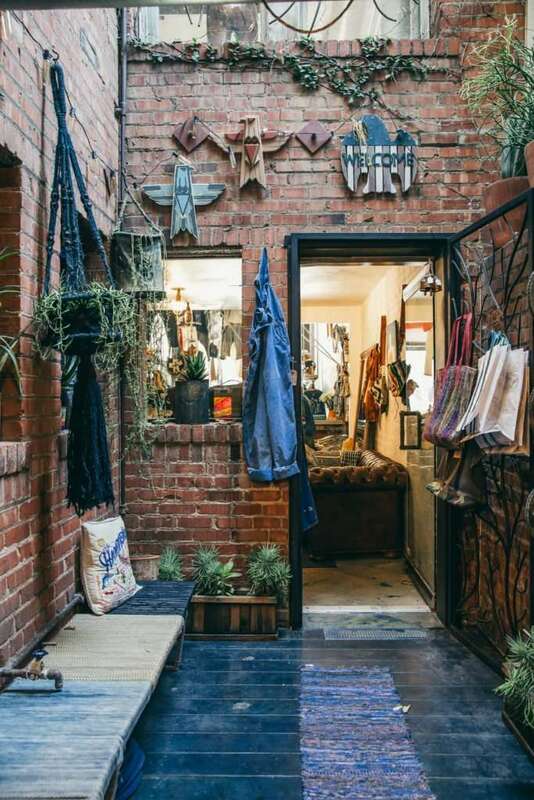 And your style and store is also so well suited to the LA market I think. Customers walk in here and they understand it. But the culture is different in France, I’m guessing? 2005… and it’s changed a lot but I still love it. I live in Nichols Canyon. It’s so peaceful, very quiet. So back to your history. The first time I became aware of you was through the scarves. I met you in Vegas at Liberty in maybe 2011 and I went crazy for your beautiful overdyed scarves that were made from stitched together bandanas. I bought a black one and I still have it and love it. Yes, this was the beginning of the brand. We founded it in 2010. We did some bags and the scarves. And we did very very well with the scarves, we sold them everywhere, all over the world. The first customers for us were the Japanese, and with the money we made from scarves we started the pants and tee shirts. Tell me about Beatrice’s role in the company. So Beatrice prepares everything before we go to production. So for instance the scarf? That’s all Beatrice! Beatrice and I go vintage shopping, we find the scarves, she mixes them together. She has the eye, she chooses the colors, everything. Kinda like the concept designer? So is she shyer than you? Because I always see just you at the shows, you’re the man that represents the brand. Yes but before with Teddy we were two. So this store was part of your plans with him. And he pretty much managed the other store, right? Yes, we do everything together, it is a family business. It was just Beatrice, Teddy and me at the beginning. We had been at the small store three years and we were doing really well there so we wanted to find a bigger space. Opening this store is a part of all the projects we had planned with Teddy. Everything we were talking about with Teddy, we are trying to see it though in his honour. Would he get involved in design? Yes, he was involved in the whole thing, the design also. We had many projects in the works with Teddy. After what happened well… you stop and you think and we decided to just focus on one store to start with. I imagine that when something terrible like that happens you want to just stop everything, you don’t want to do anything at all. What was it that made you turn this tragedy and heartache into this? What made you carry on? Because you can see it, you can see Teddy and your love for him in this store, it’s everywhere. Everything we do is for him. Teddy helped us to do what we do. So we carry on. 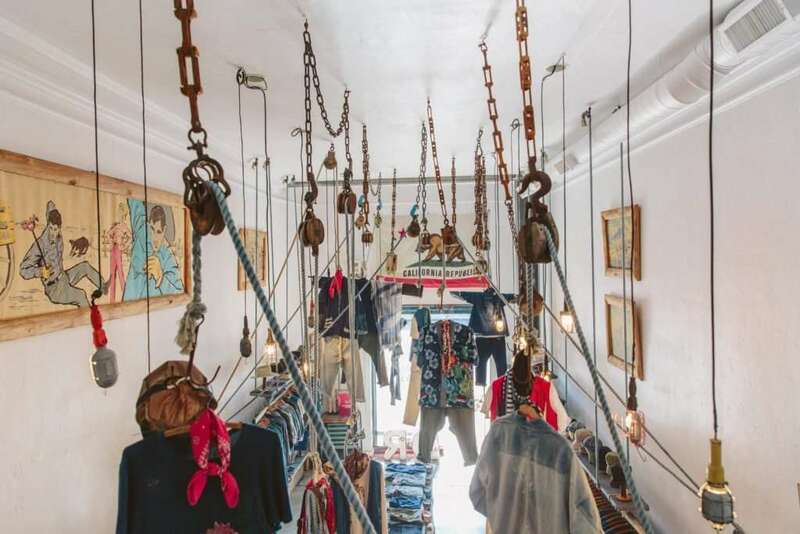 The first time I visited this store and we saw upstairs- because we have this mezzanine here- and I knew if Teddy was here with me he would have said “ah! I want that, I want to live here!” 100% he would have wanted to live upstairs. And what are the plans for the mezzanine now? A showroom and stock, and right now we are waiting for the permit for the stairs. Tell me more about the design of the store and how you came to it. The back room was trashed, it looked like a garage, I don’t know what it was used for before as it has no back entrance. We put a lot of energy into this room. The floor is indigo concrete, right? Yes we poured the floor with concrete, when it was still wet we poured indigo on it then I sealed it. Then the front of the store and part of the back we clad in re-claimed wood and dipped each individual piece in indigo and then assembled it. The idea for the ropes hanging from the ceiling came from France: When people work in the mine they put their clothes on the ropes and lift them up to the roof on a pulley as it keeps them clean. When we saw this huge double ceiling we thought it was perfect to create that same idea. It also makes the brand really easy to understand as soon as you walk in, it’s all right there. For me, to do a window with a mannequin…. to me that’s over. We kept the window free and laid the store out more like a gallery, it’s something different and people love it. The banner on the wall is interesting: it’s an old one made of cardboard. I bought it here on the way to San Francisco years ago, in a small town I don’t remember where, I took it back to France as I was living there then and then it came back here when we moved in 2005 and was sitting in my garage for a long time. When we got this place finally we had space for some of our treasures. This cabinet you see on the shop floor is a cigar case is from the 1930’s, I found it at the PCC Flea market in Pasadena. I get a lot from the PCC but I think Longbeach flea is my favorite. 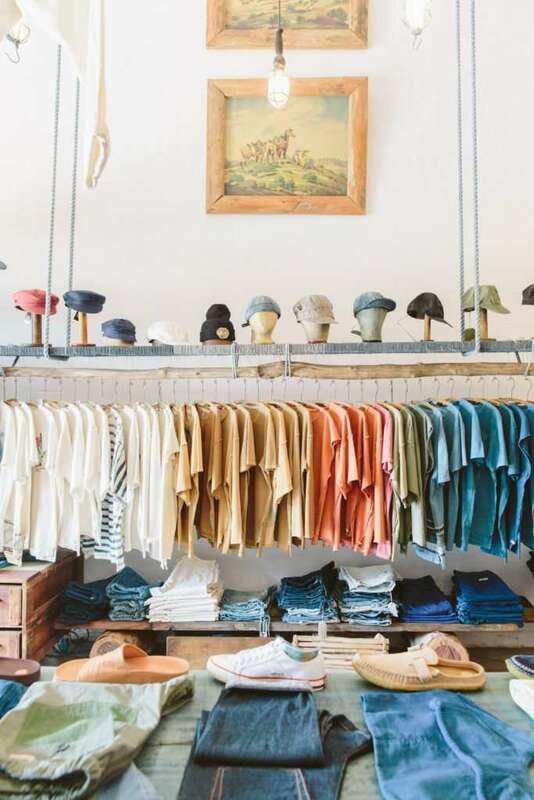 And which is your favorite place to buy vintage in the world? The best vintage pieces are still in Japan. If you have money to spend, in one day you can find anything you need there. Less so now of course, I remember Japan in the 80’s, if you wanted a Levis 50’s deadstock, you’d have all the sizes, it was incredible. How is vintage different in France? Well even when I am in France I am still buying America vintage and of course the indigo, the French workwear. Other than that, no. The same thing for Japan, aside from American casualwear it’s about the Japanese worker. The 80’s generation didn’t appreciate the Japanese worker, but the new generation love the original vintage kimonos, the original farmer, the boro, everything. Before, they only valued US vintage. I read somewhere that this was related to shame. They saw the old, destroyed and patched workwear as something that represented poverty, as something to hide away. Yes that makes sense. And the Chinese worker is growing too. The young Chinese are less into bling. Before they’d only buy Gucci, etc and now they are buying the more eclectic stuff. The Chinese customer is getting into Dr Collectors. And we sell very well in Taiwan too. I’ve heard the same too and that’s great! You mention retail so I want to ask you about that. 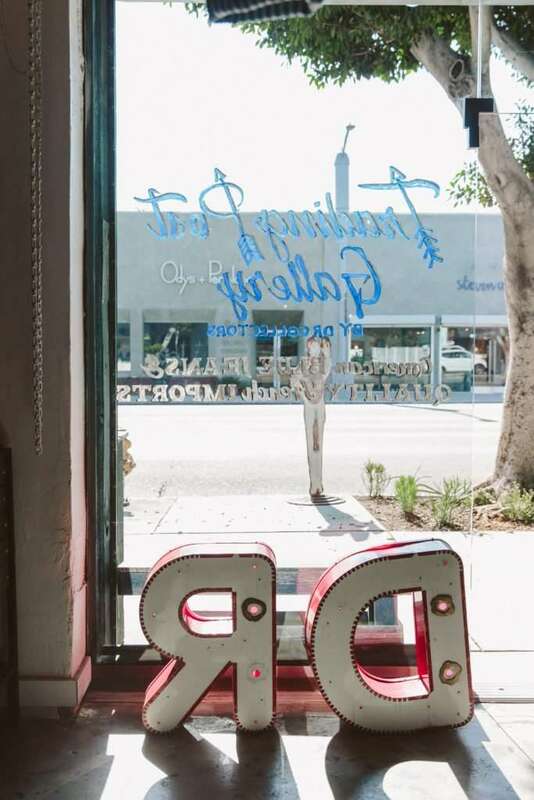 La Brea is a great location with great stores, cafes, etc. But you will have seen LA change a lot over the last few years. 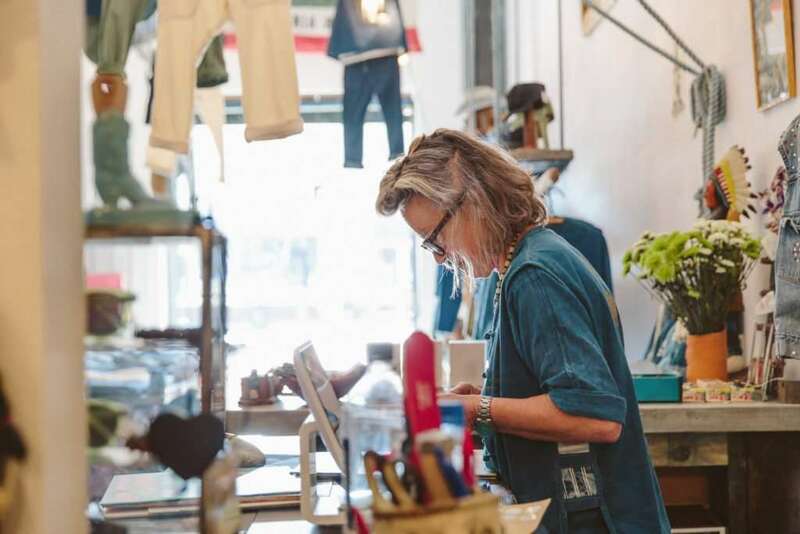 How have you noticed it change with regards to retail? Well online is the main area that’s changed of course. But for me online is something different. Online is good for the huge brands. For us we are a small brand so for sure we sell online but for the most part, we sell in the store. You need to touch, to try, to feel the fabric. These elements help to sell our brand. 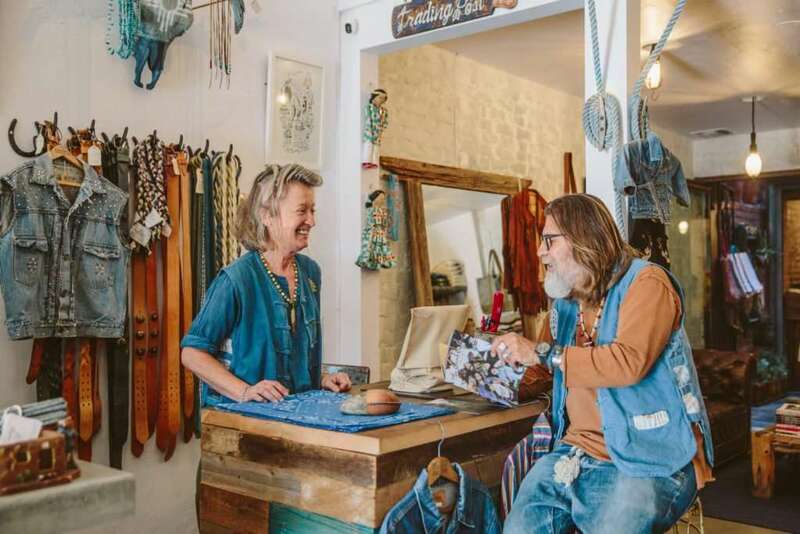 We have some customers who see the store and right away they get it: they see the outfits, the jewelry, the interior, and they want the whole thing. This is the most important thing for us because the customer buys not only the pant, he buys the pant, the tee shirt, the concept. We have a lot but it’s not a huge collection, it’s very concentrated, and we don’t work on our collections way in advance. For instance I haven’t started SS18. Now I’m working on FW17 for this season. Because for me to do a collection a whole year out, by then it’s over, it’s done. I agree. A lot of big brands have systems in place and they can’t do that. You are smaller and you can work differently. Yes, it’s the story of a modern day small family business. What was the plan before with Teddy? It was a larger plan, right? Yes with Teddy we wanted to open a few stores. Stores in different cities. A big plan of Teddy’s was to open a store in Tokyo. Because Teddy was obsessed with Japan. He first went when he was ten years old and he loved it from the beginning: the food, the culture, the girl…. He wanted to open a store in Daikanyama. 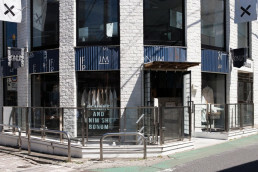 I can imagine it doing so well in Daikanyama! Its still possible….